Qualities and characteristics of epic learning. Building a community and student engagement as prerequisites for a successful flipped classroom. Discussion: Discuss an Epic Learning Experience. What made your learning experience epic? Activity: Choose an artifact (photo, symbol) that represents peak learning experience or epic win (as related to #1). Be prepared to show and tell about it. Discussion: Brainstorming “What Questions Do You Have About the Flipped Classroom?” after reviewing resources. Discussion: “How do you define experiential learning and how can you facilitate it in your own educational setting?” Experiential learning is loosely defined as authentic, hands-on, multi-sensory learning. Expand on this to include how you would define it in the context of your learners, educational setting, and content area. What are some general strategies you can use to facilitate experiential learning within your learning environment. Activity: The first phase of The Flipped Classroom – The Full Picture is engaging learners through an authentic, engaging experiential activity. Locate and list at least 10 experiential activities that you could use in your setting to engage your learners and motivate them to learn more about the content/topic. These can be activities selected from the resources found below, ones you’ve created, and/or other activities you’ve heard about/located. 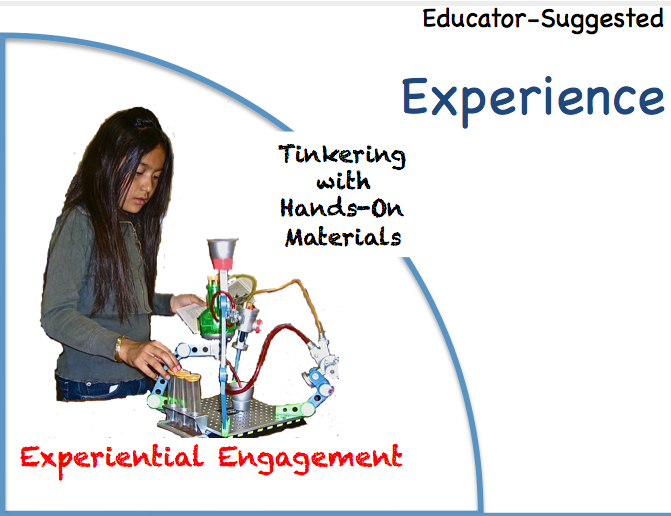 During this phase, learners are exposed to and learn concepts touched upon during Experiential Engagement. They explore what the experts have to say about the topic. Information is presented via video lecture, content-rich websites and simulations, and/or online text/readings. In the case of the flipped classroom as it is being currently discussed, this is the time in the learning cycle when the learners view content-rich videos. This is where and when videos are used to help students learn the abstract concepts related to the topic being covered. The role of the teacher, during this phase, is to offer the learners choices of video and related online content to learn the concepts being covered. Discussion-Activity: “What purposes do lectures service in the classroom?” Be prepared to have a debate during around the question, Should lectures be used in face-to-face learning settings? A Mentormob playlist has been prepared with resources about this topic – http://www.mentormob.com/learn/i/lectures-in-the-classroom. 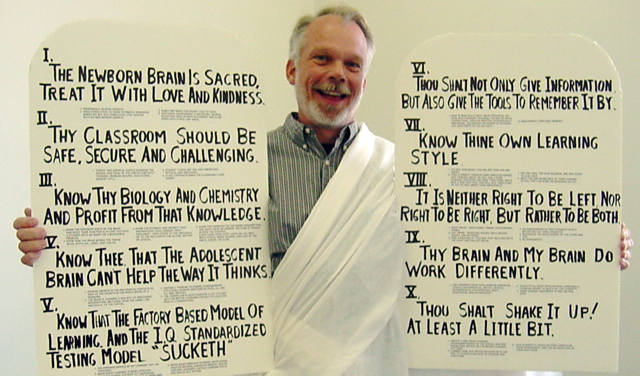 A forum on Debate.FM has also been set up – http://www.debate.fm/745454938/should-lectures-be-given-during-facetoface-class-time. (Note: Sometimes it is an interesting intellectual challenge to take what is known as a reasonable opposite, this is a position that is opposite of your own belief, but one that you can argue. It provides a prospective from the other side). Activity: The second phase of The Flipped Classroom – The Full Picture is assisting your learners to learn the concepts related to the topic being explored. Locate and list at least five videos or other online resources you could use in your setting to help your students learn more about the content/topic. These can be videos selected from the resources found below, ones you’ve created, and/or other activities you’ve heard about/located OR use a screencast tool to create a short video about your topic. During this phase, learners reflect on their understanding of what was discovered during the previous phases. It is a phase of deep reflection on what was experienced during the first phase and what was learned via the experts during the second phase. Learners develop skills for reflective practice through discussing, reviewing, analyzing, evaluating, and synthesizing key learning through their experiential activities and exploration of expert commentaries. Discussion: Discuss the following questions in a way that makes sense to you. What does it mean for you to be accountable? How do you demonstrate your own accountability in your educational setting? To your students? To your colleagues? To your institution? To your profession? What do you do to encourage students to be accountable for their own learning? How to do assist your learners in identifying and acknowledging their own learning and progress? Discussion: Using the follow table as a guide, discuss your own philosophy regarding constructivism and how you promote learners constructing their own meaning in your educational setting. Activity: The third phase of The Flipped Classroom – The Full Picture is assisting your learners to reflect on what they experienced during the first phase and what they learned during the second, the concept exploration, phase. Discuss what reflective strategies you can use in your learning environment based on your content area interests-grade level. Contribute to the discussion, “What techniques do you use/can you use to assist students in transferring what they learned in your class to apply to other settings?” Discuss at least two. Complete Week 5 Activity: Celebration of Learning: Demonstration and Application of Learnings from This eCourse. • Prepare a celebration of learning that symbolizes what you learned during this presentation and how you plan apply these learnings to your teaching. • Prepare a “sales pitch” for implementing the Flipped Classroom: The Full picture by either writing a two page paper, recording a 5 minute video (Youtube, Animoto, etc), or developing a image-rich 25 slide Powerpoint presentation. 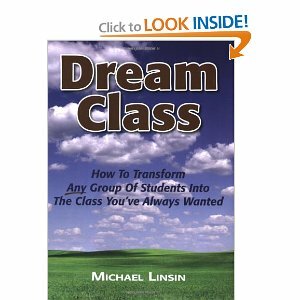 During this module, we’ll discuss and develop a foundation for The Flipped Classroom Lesson. The foundation is driven by essential questions and over-reaching concepts. This serves two purposes. First, it helps to insure that the concepts, as opposed to the technologies, are central to the learning process. Second, essential questions and over-reaching concepts provide touch points as the instructional activities for The Flipped Classroom: The Full Picture are established. Discussion: Purpose of Essential Questions – Drawing from your own understanding and the unit resources, how would you describe essential questions and concept driven curriculum? How do or can essential questions drive your lesson planning? Activity: List two essential questions for the lesson you want to develop or modify for the flipped classroom the full picture. Assignment: Develop and post a concept map for your lesson. Include all the essential questions, and major concepts and skills you want you learners to acquire. Either through hand drawn or web tool (Inspiration, Creately, Mindomo), show the major connections of between the essential questions and major concepts. During this module, you’ll be putting the learning activities you located and developed in the first half of the course into the Flipped Classroom: The Full Classroom framework. The result will be a lesson based on a natural cycle of learning using videos and media to support student learning. Discussion: What obstacles do you foresee facing when trying to implement The Flipped Classroom: The Full Picture based on an experiential model of learning? Activity: Using the template, flipped%20classroom%20template.pptx, list the learning activities for the lesson you began in the previous module. 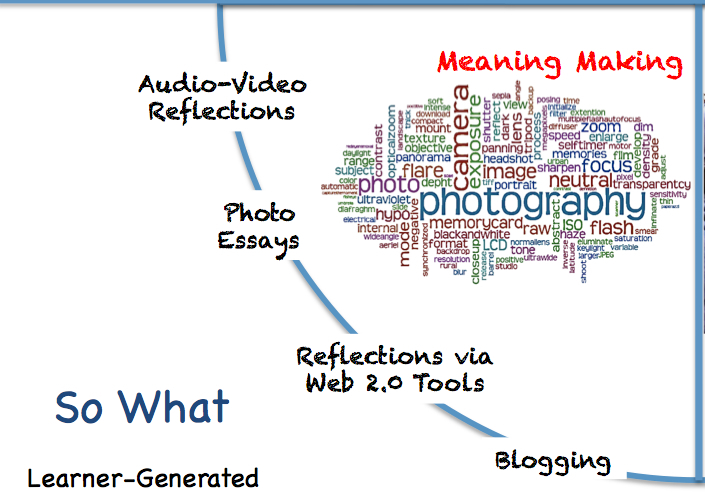 List activities for each phase of The Flipped Classroom: The Full Picture. Substitute your learning activities for each of the “directions” within each quadrant. 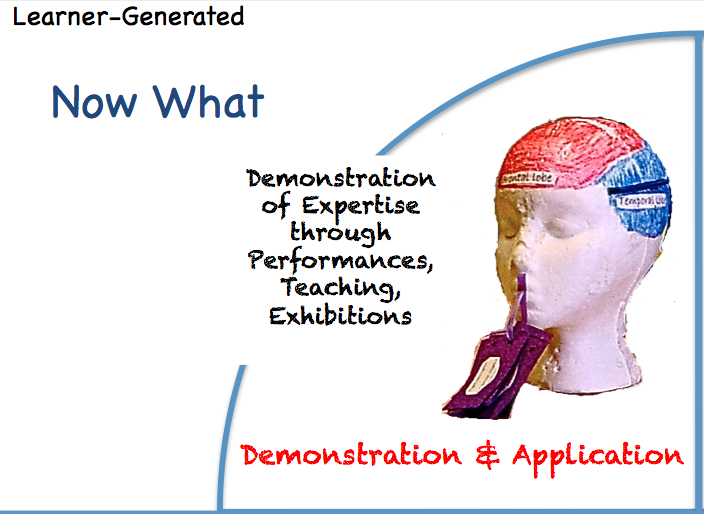 It is a PPT slide as it permits easier use of graphics. Upload your PPT slide or as a PDF. As you discovered when you were working through your flipped classroom lesson, there are phases of the cycles that caused you some problems. Most educators have some problems thinking about, locating, creating learning activities in one or more of the phases. As such, this week, using checklists and peer evaluations, we will examine how your learning activities can be expanded and enhanced. Discussion: As you discovered when you were working through your flipped classroom lesson, there are phases of the cycles that caused you some problems. 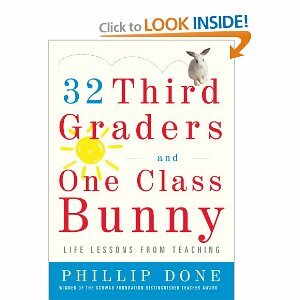 Most educators have some problems thinking about, locating, creating learning activities for one of more of the phases. Which one(s) gave you some problems? Discussion: This week you will get some feedback from your peers about your lesson plan. Where and how in your everyday work setting do you bounce ideas and get feedback about your instructional strategies? The learning activities are achieving desired results. Students are getting ongoing feedback about their performance. 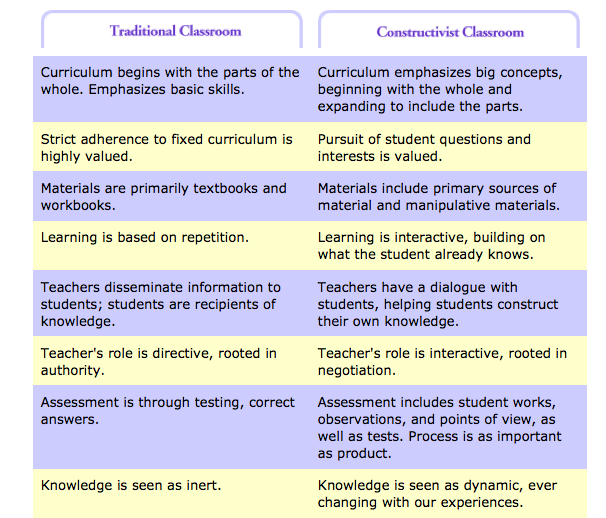 Rubrics – both teacher-generated and student generated. Discussion: What does authentic assessment mean to you? How do you build authentic assessments in your daily lessons? Discussion: The use of technology and the flipped classroom methods often ask the educator to try out new things in the classroom. How do you/will you evaluate the efficacy of the learning activities during the cycle of learning? What will/can you do if you find the learning activities are not achieving desired results? For this assignment, identify the types of assessments you plan to use during each phase of the cycle. It is the final module of the workshop. It is a time for reflection and establishing the “What’s Next”. Assignment: Develop a personal integration plan for future lesson planning that includes significant learnings from the past nine modules. What specific action steps do you plan to take to enhance your lesson plans due to things you discovered during this course? Please list at least 10. Tonight was the last night of our student teacher seminar. We met once a week every Tuesday night for the past three months while they were student teaching. 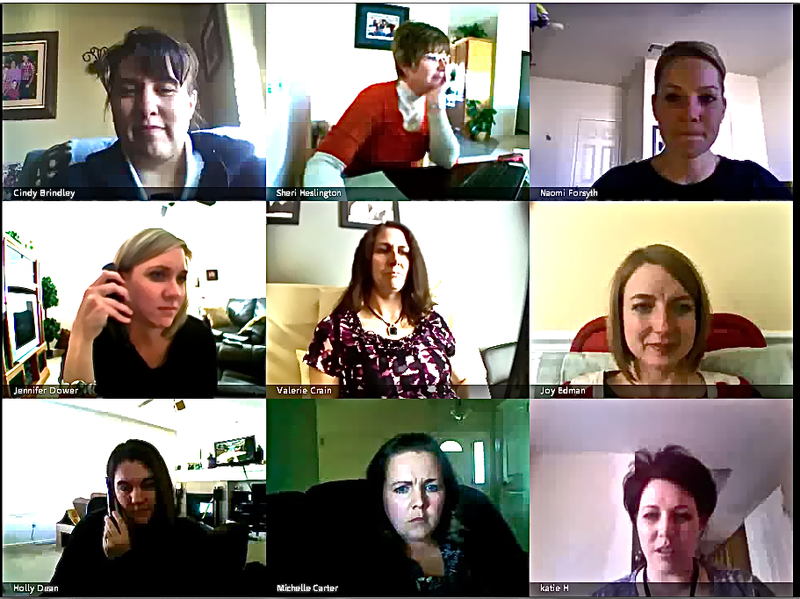 The seminars were virtual and synchronous with most students choosing to use webcams. As such, we were able to share laughs and tears . . .
. . . see each others’ homes and children . . .
. . . and even enjoy one student’s new baby boy. A sense of community was built. I have blogged before about the importance of beginnings in Beginning the School Year: It’s About Connections Not Content. I also believe in the importance of endings, that it should be a celebration of community and providing inspiration for the future. 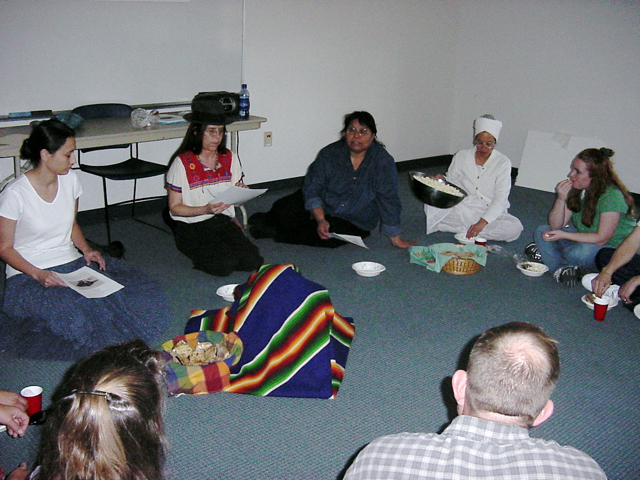 As such, the student teachers were asked to bring virtual treats to share during our last seminar. These treats could take the form of an inspirational quote, video, picture, thought or final wishes. What follows are some of the treats shared. Student watching the video . . .
Teachers have one of the greatest responsibilities and because of that, one of the greatest gifts. The underlying point of this video is behavior and the discouraging factors dealing with our present-day behavioral situation. A short video based on the Starfish story, with an inspirational message for all teachers to “Never give up”. You have brains in your head. You have feet in your shoes. You can steer yourself any direction you choose. You’re on your own. And you know what you know. And YOU are the one who’ll decide where to go… – Dr. Seuss, Oh, the Places You’ll Go! The people best qualified to run the world are to busy teaching school. I read Charlotte’s Web and Charlie and the Chocolate Factory every year, and every year when Charlie finds the golden ticket and Charlotte dies, I cry. I take slivers out of fingers and bad sports out of steal the bacon. I know when a child has gum in his mouth even when he is not chewing. I have sung “Happy Birthday” 657 times. I hand over scissors with the handles up. My copies of The Velveteen Rabbit and Treasure Island are falling apart. I can listen to one child talk about his birthday party and another talk about her sleepover and another talk about getting his stomach pumped last night – all at the same time. I fix staplers that won’t staple and zippers that won’t zip, and I poke pins in the orange caps of glue bottles that will not pour. I had out papers and pencils and stickers and envelopes for newly pulled teeth. I know the difference between Austria and Australia. I plan lessons while shaving, showering, driving, eating, and sleeping. I plan lessons five minutes before the bell rings. I know what time it is when the big hand is on the twelve and the little hand is on the nine. I say the r in library. I do not say the w in sword. I put on Band-Aids and winter coats and school plays. I know they will not understand the difference between your and you’re. I know they will write to when it should be too. I say “Cover your mouth,” after they have coughed on me. Integration of Course Theory and Content – demonstrates an integration and understanding of class content and your research findings. Quality of Content – the content demonstrates mastery and insights into the subject matter. 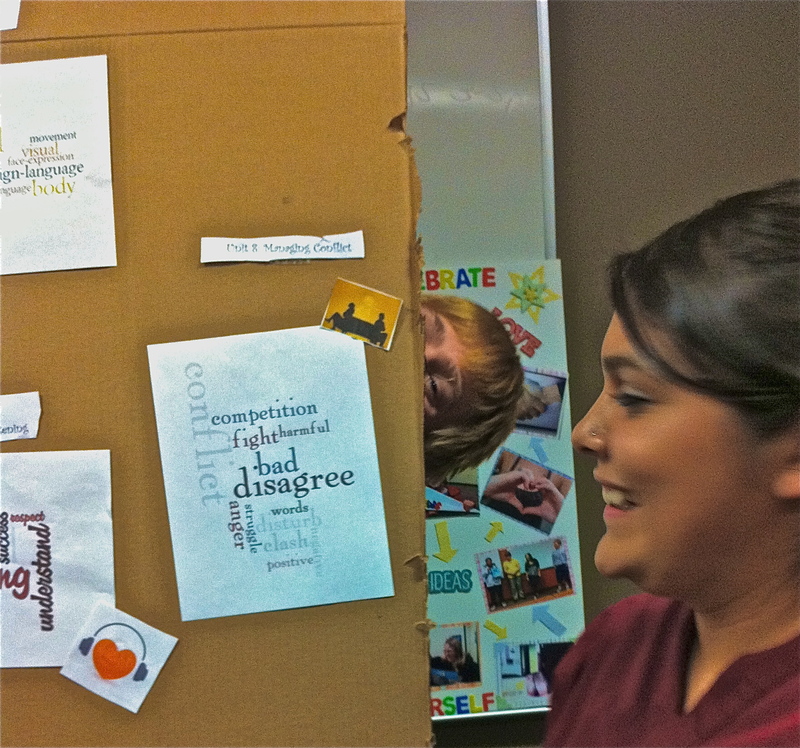 Creativity and Insight – Materials demonstrate creativity and insight about self and course material. The concept of celebration of learning, honoring students’ learning preferences, and reinforcing the classroom learning can be enhanced in this age of technology. Technology provides additional ways and opportunities to differentiate instruction based on content, interest, and ability. Choice menus give learners the opportunity to self-select activities that are best suited to their interests and ability. The result is engaged and motivated learners with resultant products that when shared in the classroom have often made me cry due to the personalized and passionate characteristics of these products. Student Examples This past term, two students in my undergraduate course on Interpersonal Relations selected technology-enhanced projects. TJ loves Minecraft, so his final project included a review of the course concepts using his Minecraft Skills. 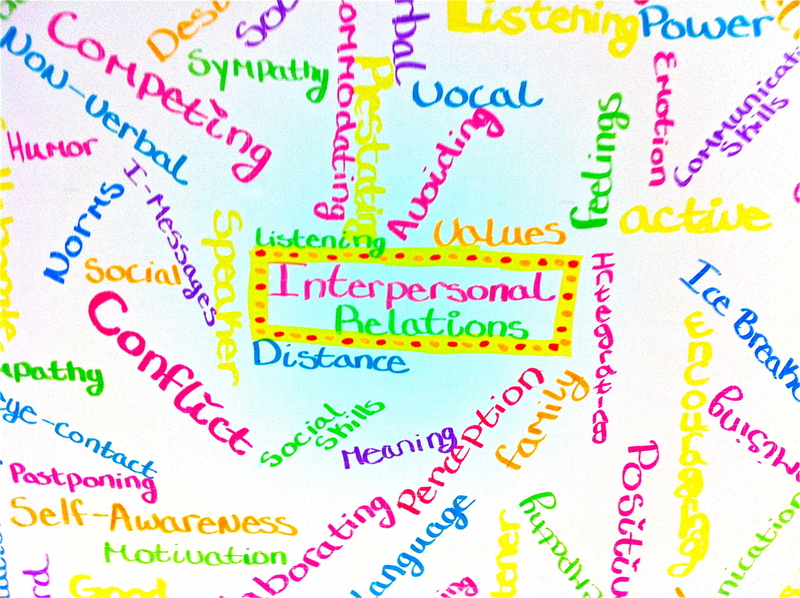 Another student, Nicole, created a series of Wordles for each topic covered during the course. In addition, one student loved the Wordles were created in class so much, she did her own handmade versions for her project.